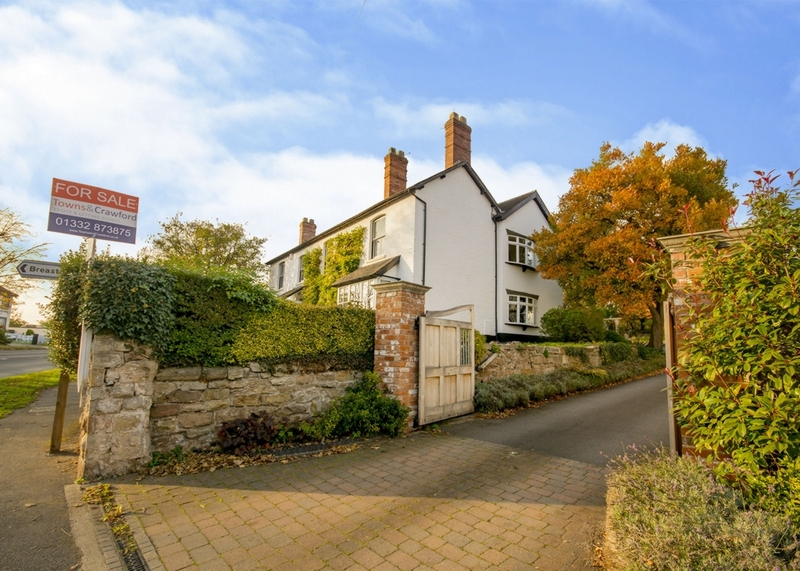 Welcome to The White House; one of the most prestigious properties in the desirable village of Risley in Derbyshire. 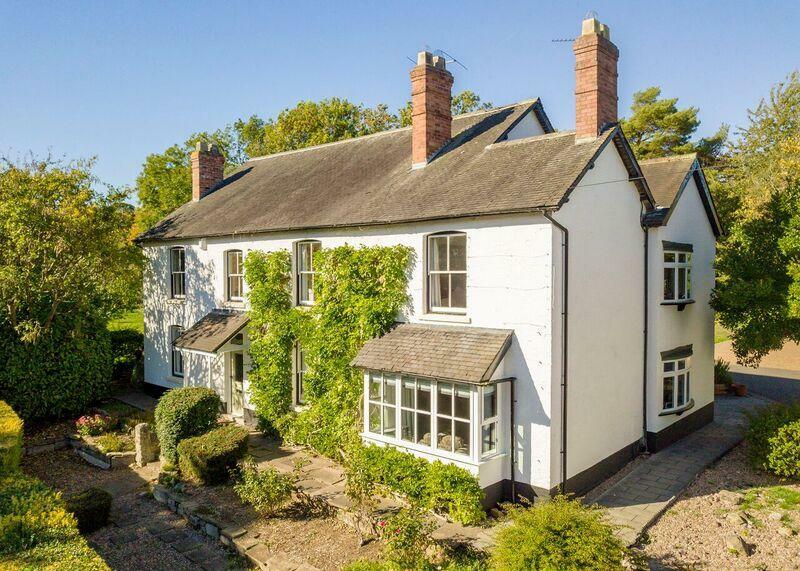 An outstanding detached 18th century period farmhouse, with later additions, occupying a quite superb plot of almost 2 acres within this sought after conservation area. 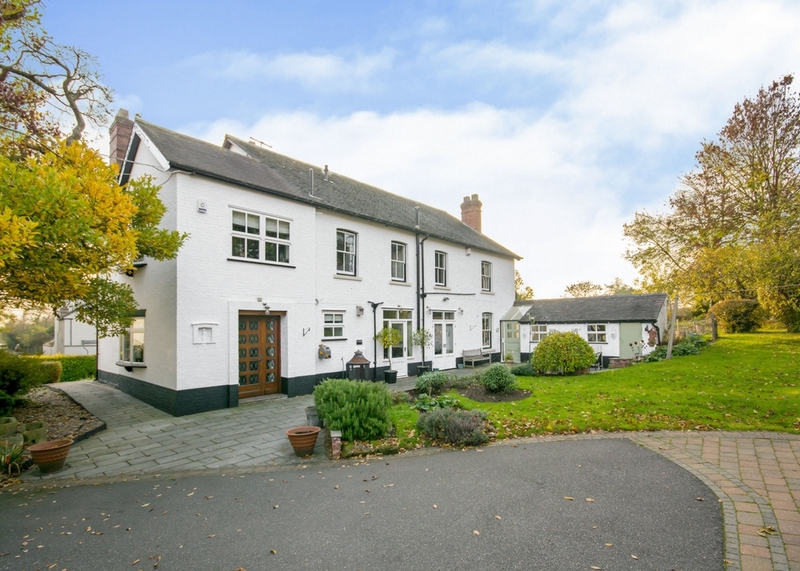 Boasting four reception rooms and 5/6 bedrooms that have been renovated throughout to a high standard while retaining many original features. 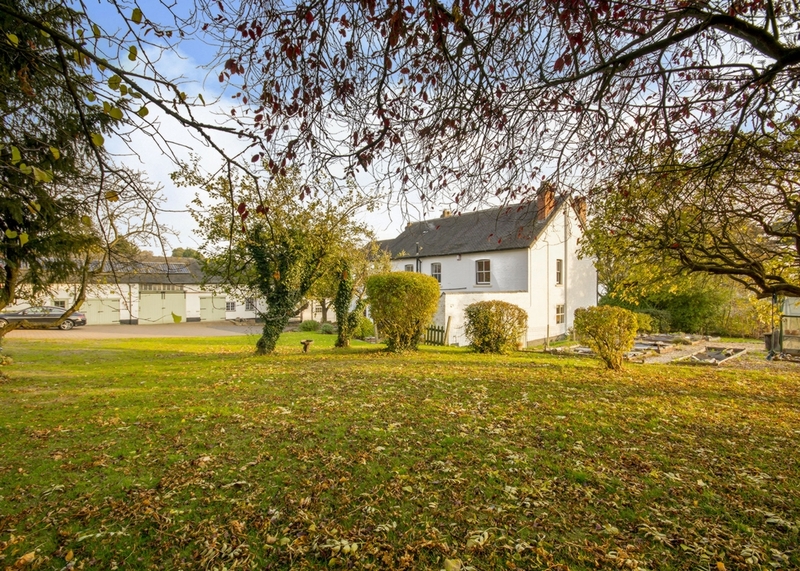 The property is being sold with substantial outbuildings suitable for possible conversion to separate accommodation or granny annexe, leisure complex etc, (subject to planning permission). 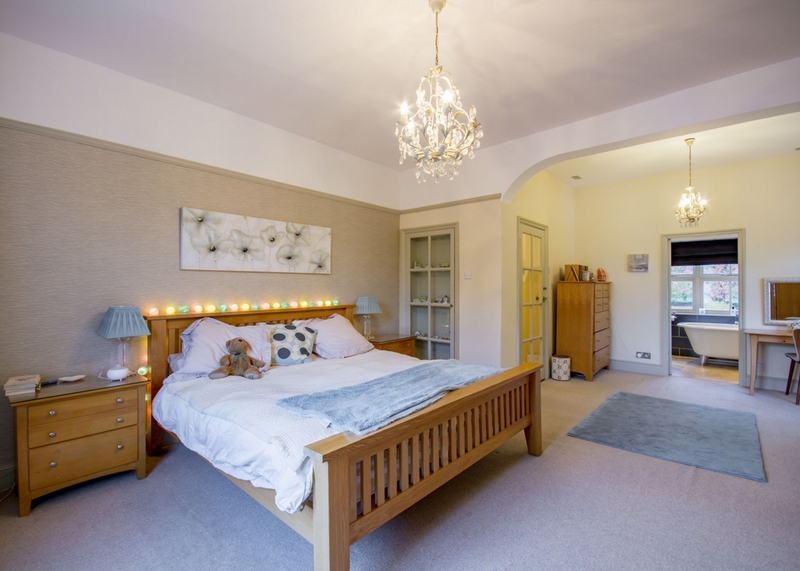 The property has been completely renovated over the last eight years including, re wire-ring, plumbing, windows, roof and all internal fixtures and fittings. The house is alarmed. 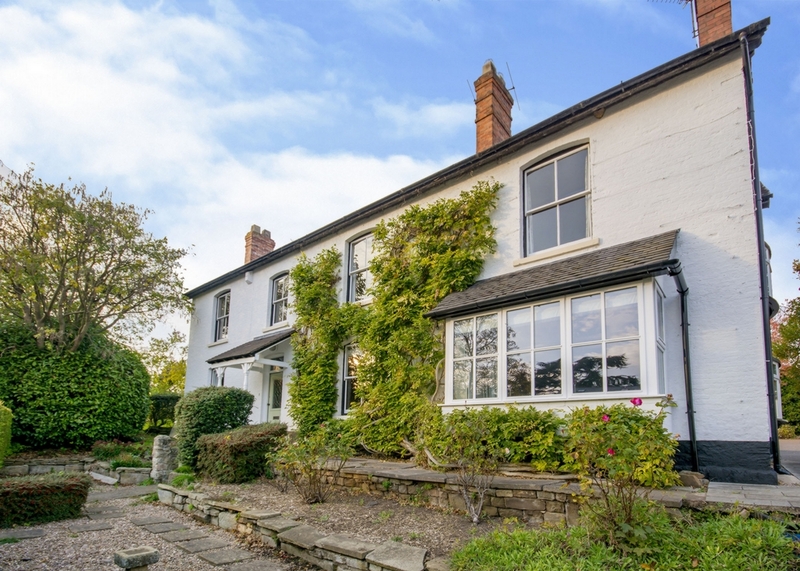 All works have paid tribute to the character of this house and retained its period features. This is a unique and desirable home offered to the market with immediate vacant possession. 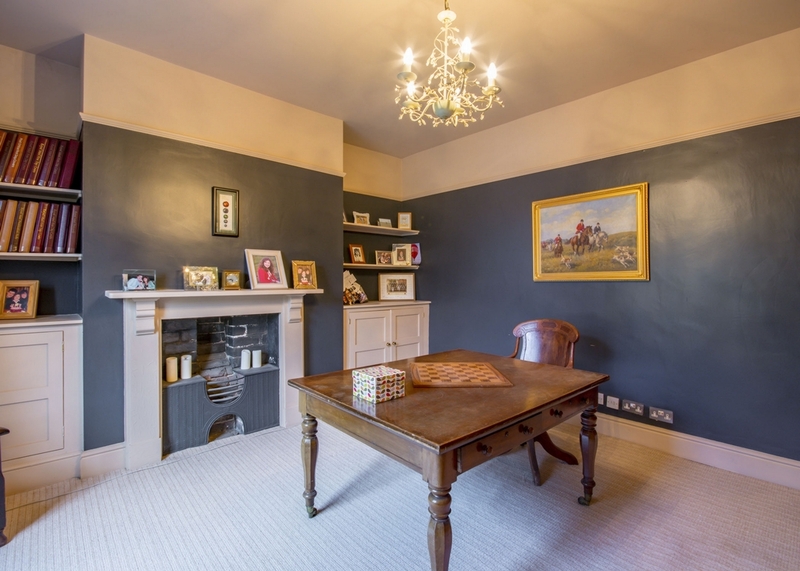 In brief on the ground floor there is a lounge, sitting room, formal dining room, study, family/breakfast kitchen, wine cellar, and cloakroom. 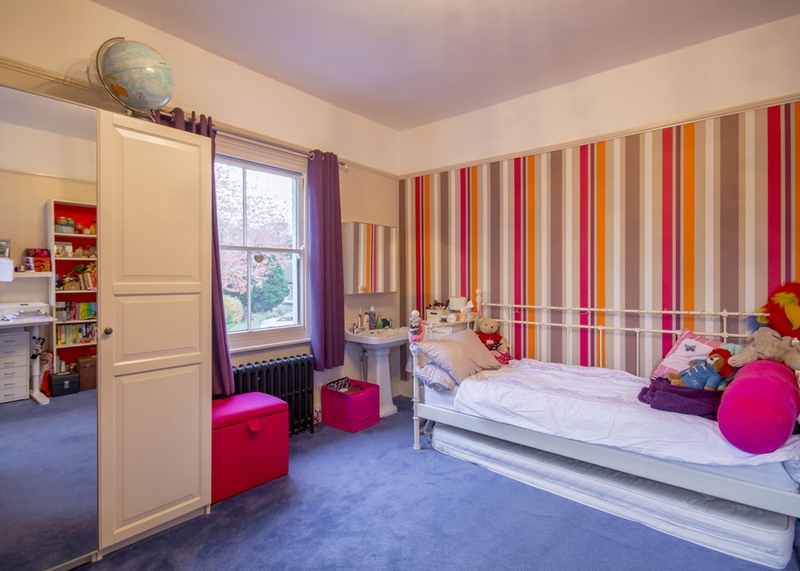 On the first floor there are 5 double bedrooms, and a small dressing/box room, the master bedroom has an en suite and there is a family bathroom. 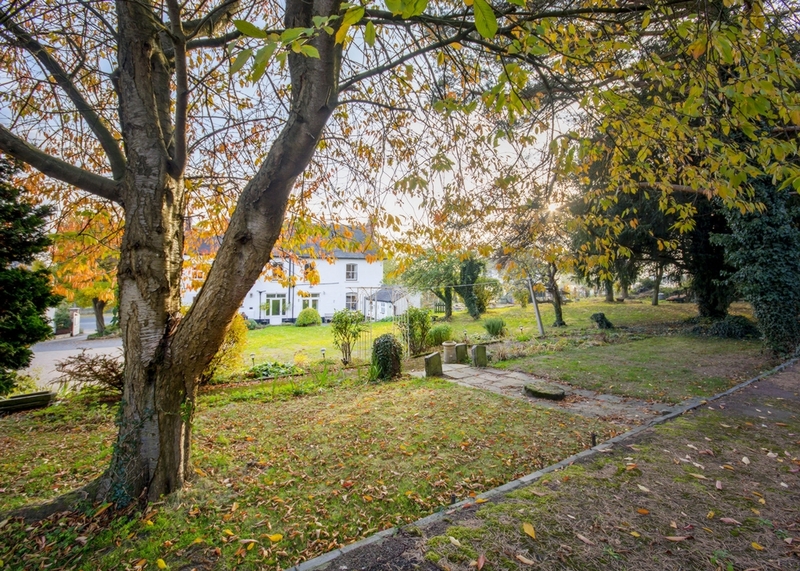 There are substantial outbuildings including garaging, extensive parking, superbly stocked gardens with cottage garden and orchard. 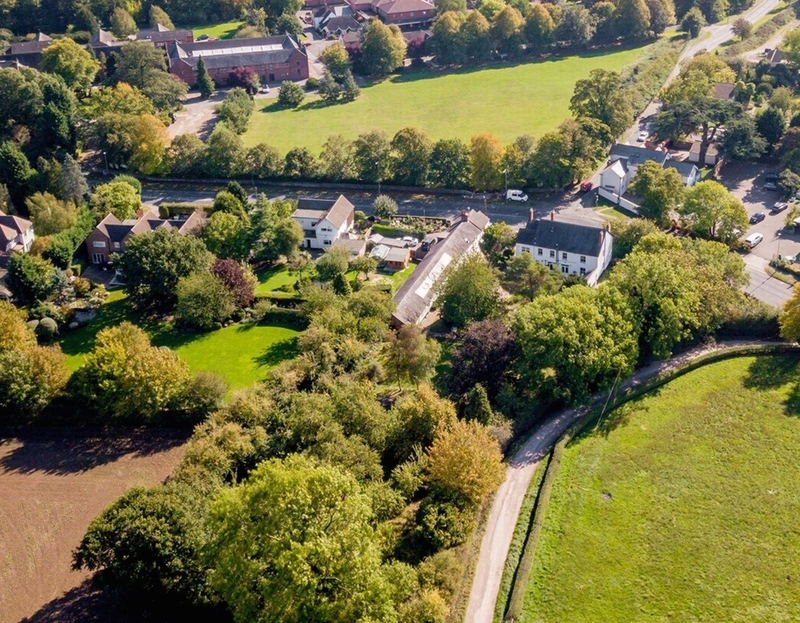 The White House is set in the beautiful conservation area, close to all amenities including A52 (Nottingham/Derby) and M1 motorway for commuting far and wide. 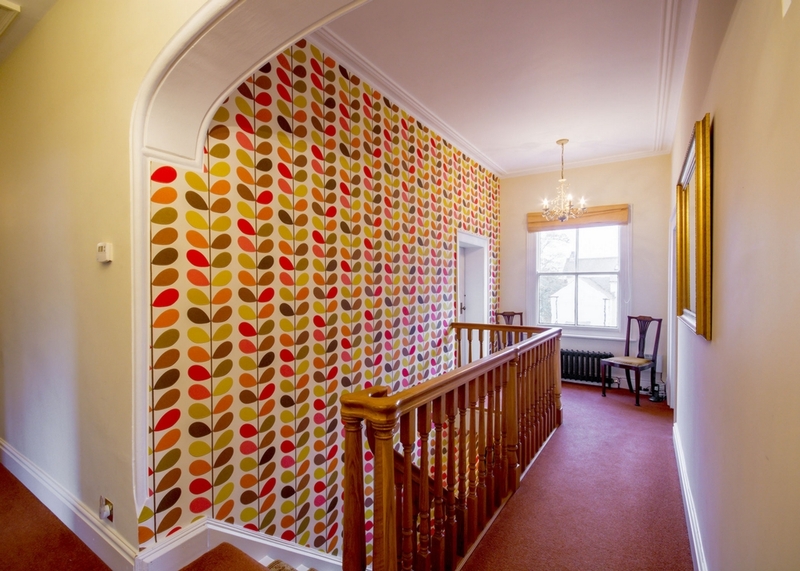 Entering into the reception hall via an oak front door with inset opaque leaded light window, stairs to the first floor, original oak panelled walls, cornicing, archway to rear hallway. A telephone point. 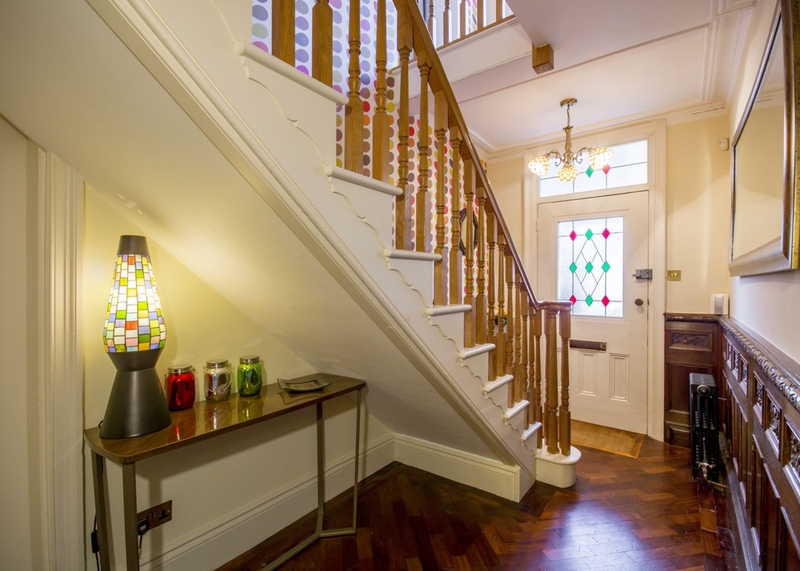 There is a new staircase with oak banister with all the original features this hallway deserves. 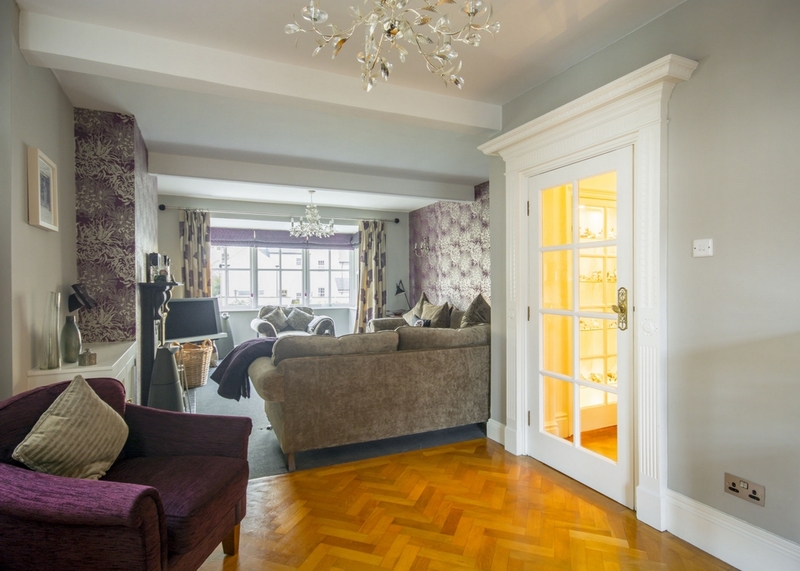 Rear hallway: Oak panelled walls, picture rail, access to living room and breakfast room, built-in illuminated glazed display cabinet. 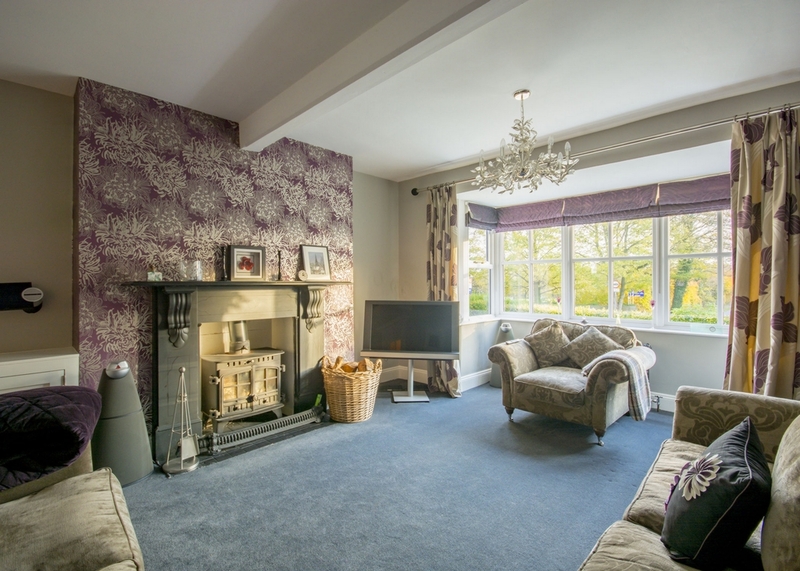 Sitting room: Beamed ceiling, sash window to the front, radiator, tv point, open fireplace with tiled hearth, Oak wood floor, wall light points. 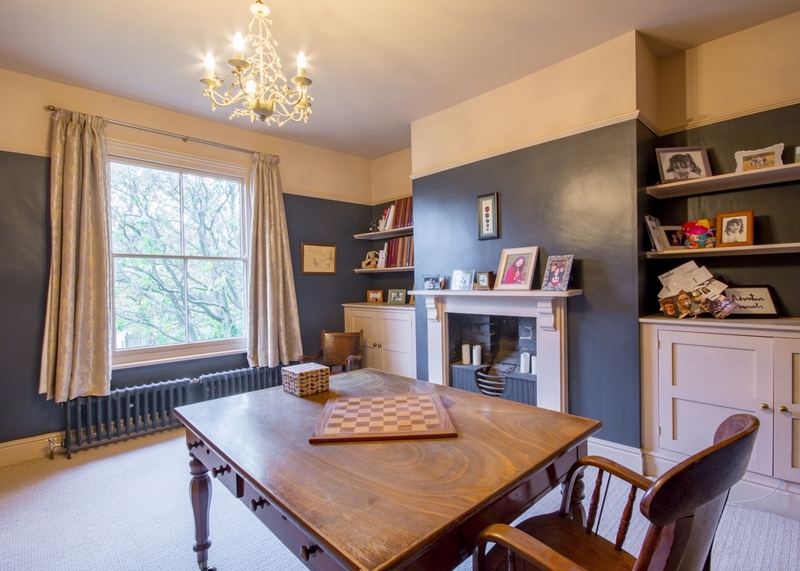 Formal Dining Room: With sash window to the front, radiator, telephone point, plate rail, coving, original feature built-in drinks cupboard with shelving, fireplace with wood burner. 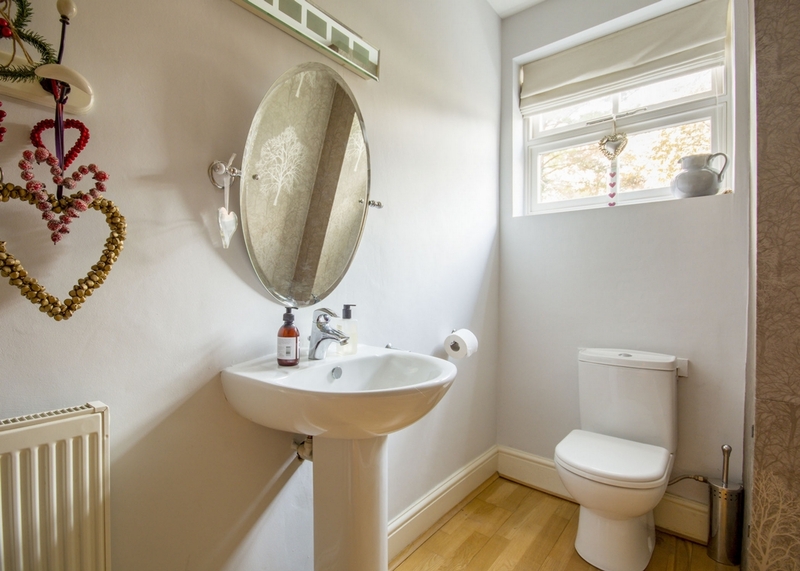 Downstairs cloakroom: Low level wc, pedestal wash hand basin, window to the rear. Lounge: A delightful lounge with double aspect windows; a bay window to the front and side window. 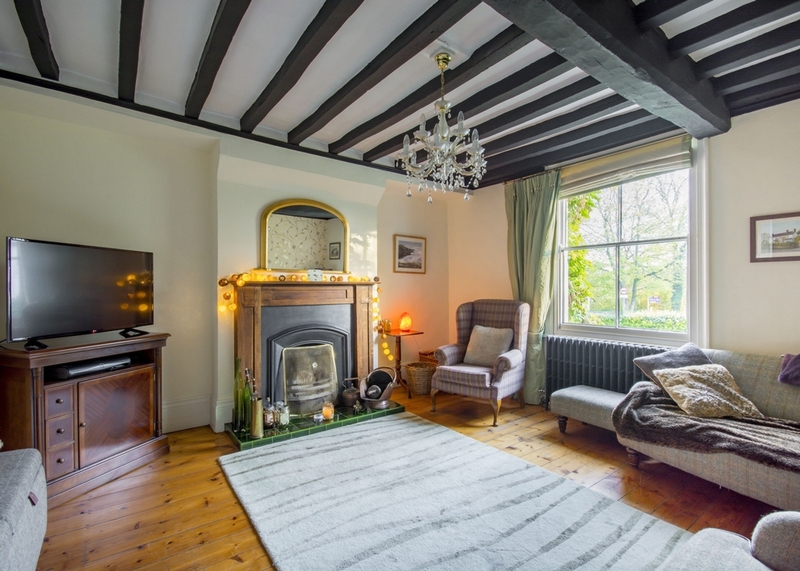 There is a French ornate feature leaded light glazed double doors to the rear patio, two radiators, wall light points, open hearth fireplace with wood burner and side cupboard, part carpeting part parquet flooring. 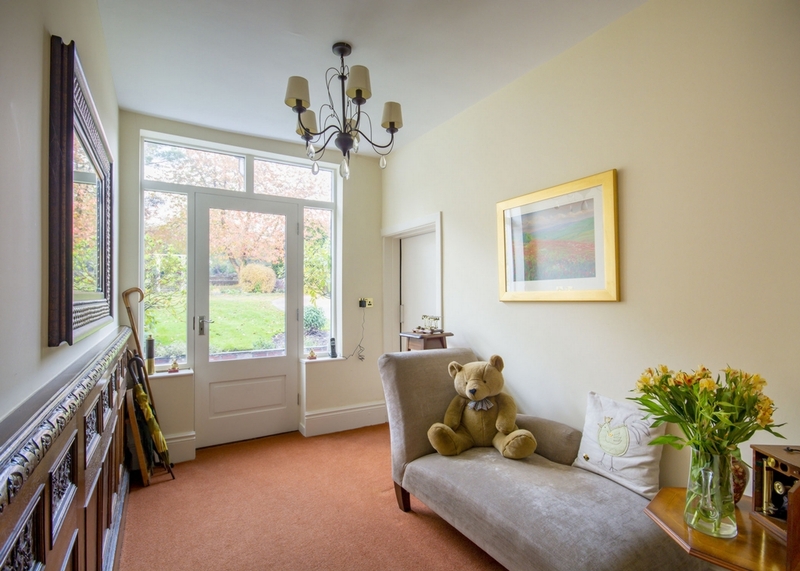 There is an open plan study area off the rear passage way, telephone point, a sunny warm spot that has a garden door out to the patio. 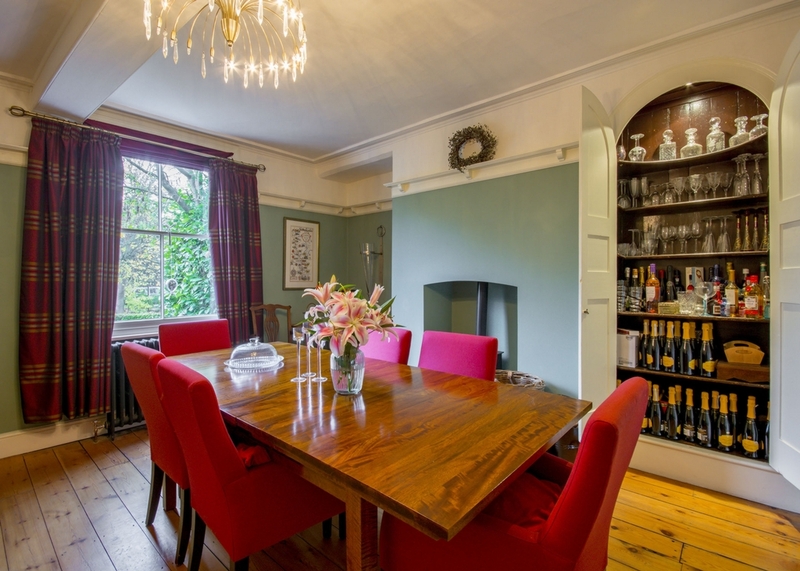 The house has a perfect wine cellar that is dry and currently used for extra storage. The door to the cellar is off the study area. Kitchen Family Breakfast Room. 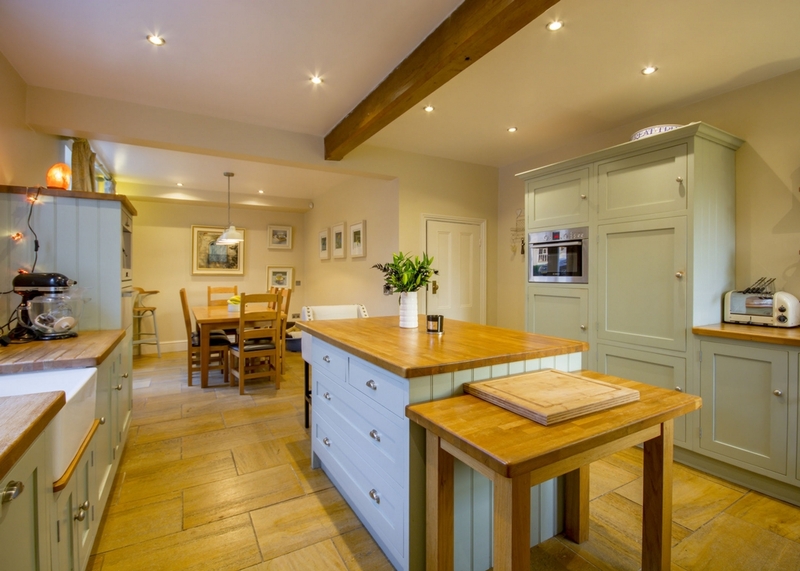 A dream designer farmhouse kitchen; hand made solid oak units in a Farrow and Ball colour with hardwood tops. With integrated dish washer, Bosch coffee making machine, warming drawer and built in combination oven and integral fridge freezer. 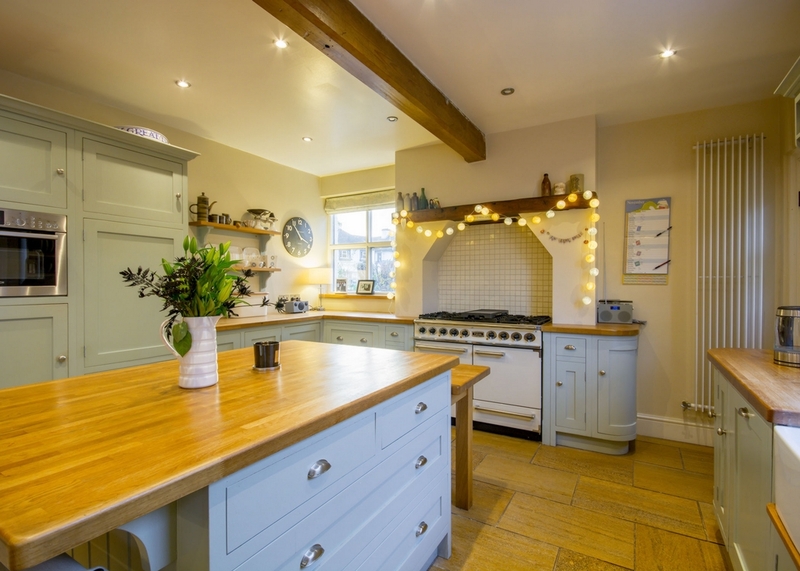 This is a truly stunning comfortable kitchen with Welsh stone flag flooring. 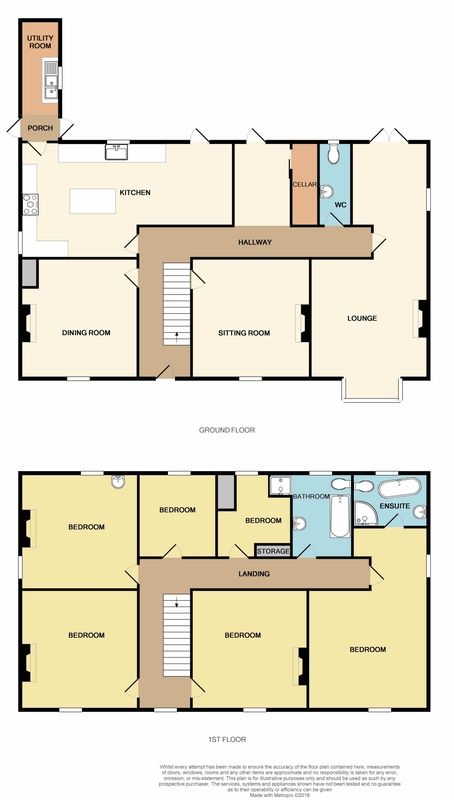 There is a Falcon range with five burners a grill and double ovens to complete this family living space. 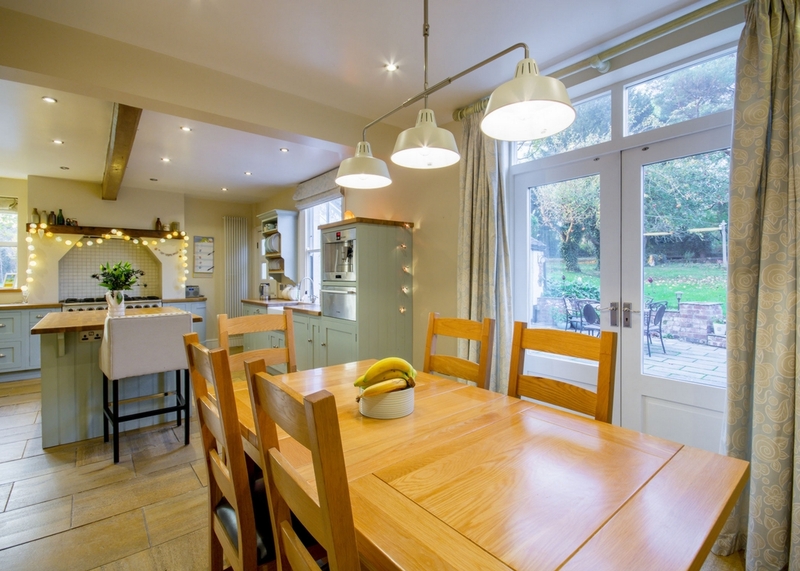 Off the kitchen is a small entrance under a stylish apex glass roof that leads to the utility/boot room that has space for a washing machine and tumble dryer and a stainless steel sink. 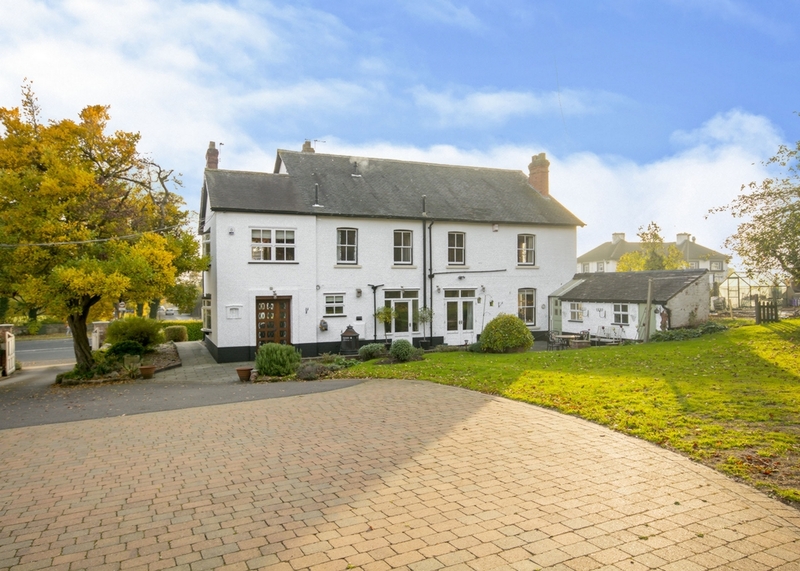 Also off this area are two doors, one taking you to the rear garden patio and beyond; the other to the side of the house that opens up to a well established cottage garden for those desiring to live the good life? A selection of vegetable bed raised areas, cool boxes and green house. First Floor : 'L' shaped landing with secondary glazed sash window to the front, picture rail, coving, access to the loft with pull down ladder. 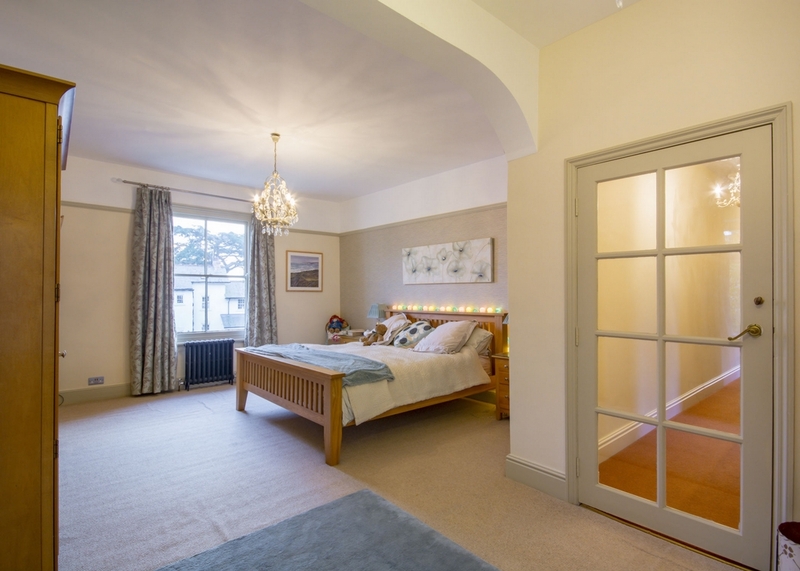 Bedroom 1: A stunning light and airy large master bedroom with through space for dressing area and ensuite bathroom. 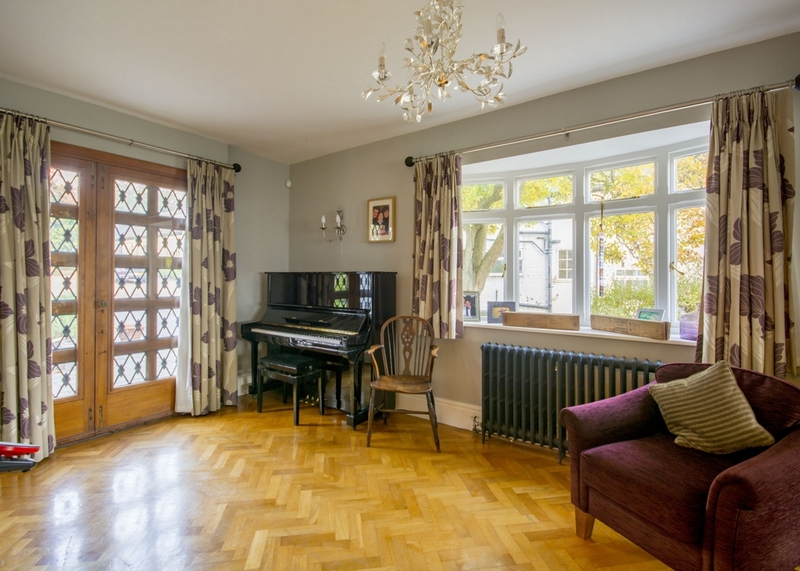 Sash window to the front, bay window to the side, two radiators, glazed display cabinet, fireplace, picture rail. 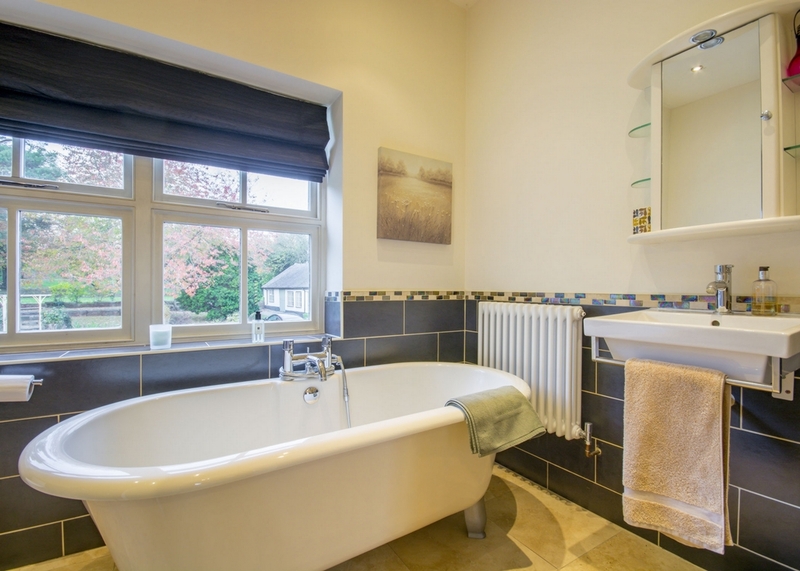 En suite: A recently fitted bathroom with stand alone bath, low level w.c. pedestal wash hand basin, half tiled walls, towel radiator, corner shower. 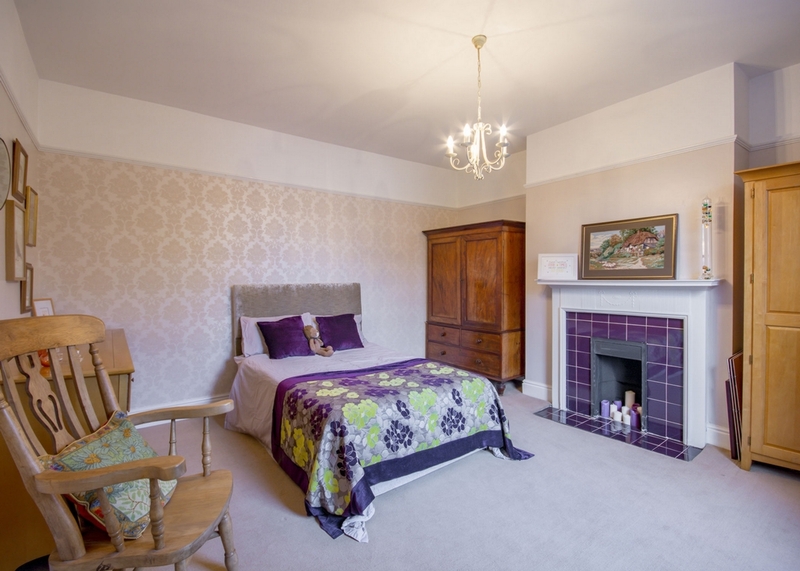 Bedroom 2: Sash windows to the rear and side, fireplace, radiator, picture rail, pedestal wash hand basin. 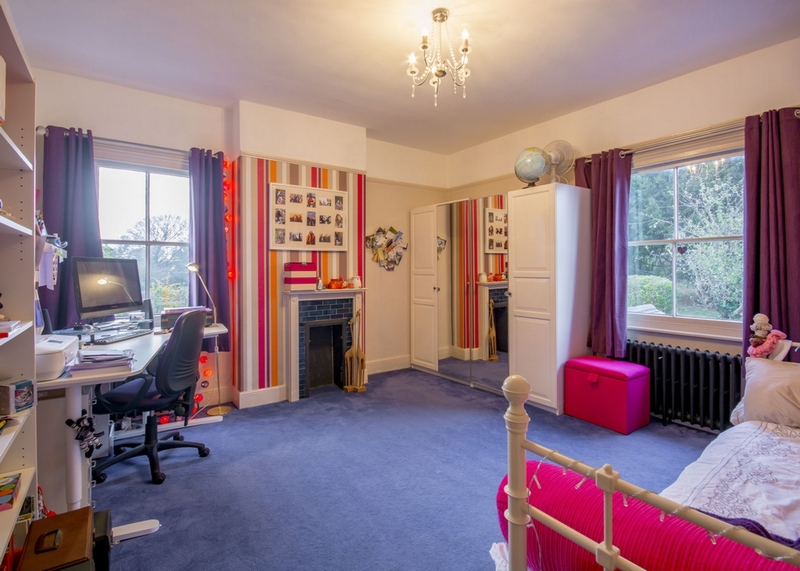 Bedroom 3: Currently used as a reading room this bedroom has a sash window to the front, radiator, picture rail, fireplace, fitted office storage cupboards. 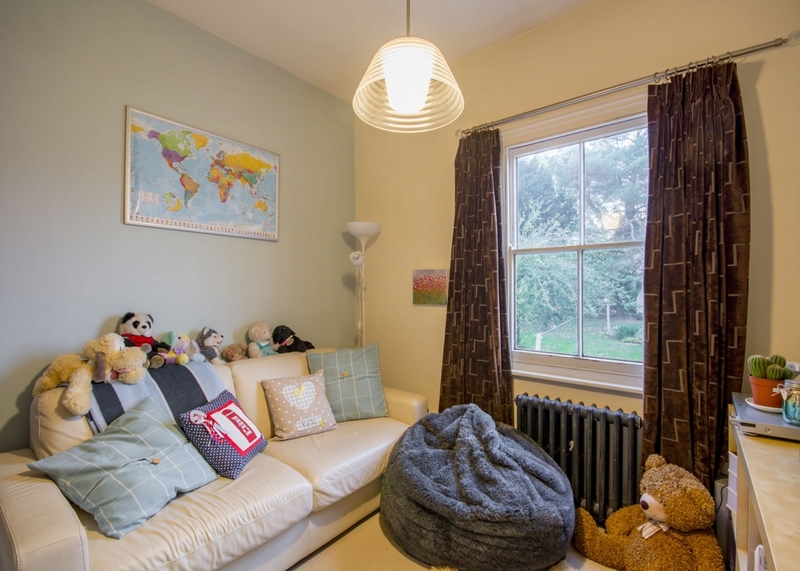 Bedroom 4: Sash window to the front, radiator, fireplace, picture rail. 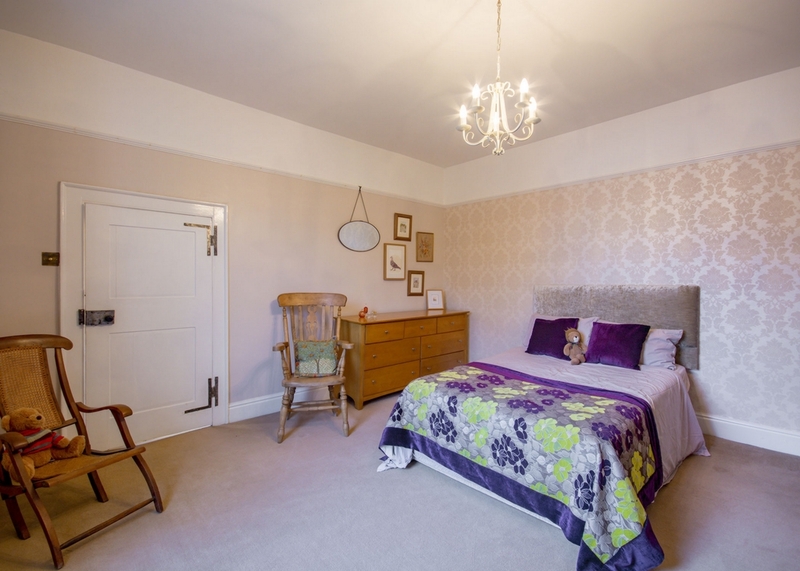 Box room: Currently used as an extra dressing room and has a sash window to the rear, the original fitted laundry cupboards. 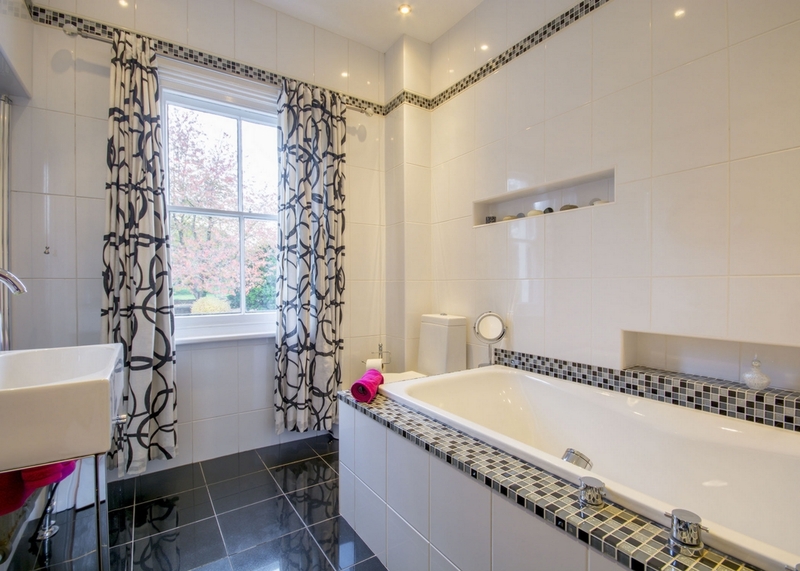 Family Bathroom: Tiled and panelled bath with separate shower tiled walls low level wc, pedestal wash hand basin, fully tiled recessed shower cubicle, heated towel rail. Outbuildings: Two brick built outbuildings adjacent to the kitchen utility and housing an outside WC. The main out building have 4kw of Solar panels on the roof that feed the main house with electricity and give a very good government feedback tariff. Garage: Barn style 3/4 car garage with sliding door, power and light, windows to the rear, workshop area to the side. 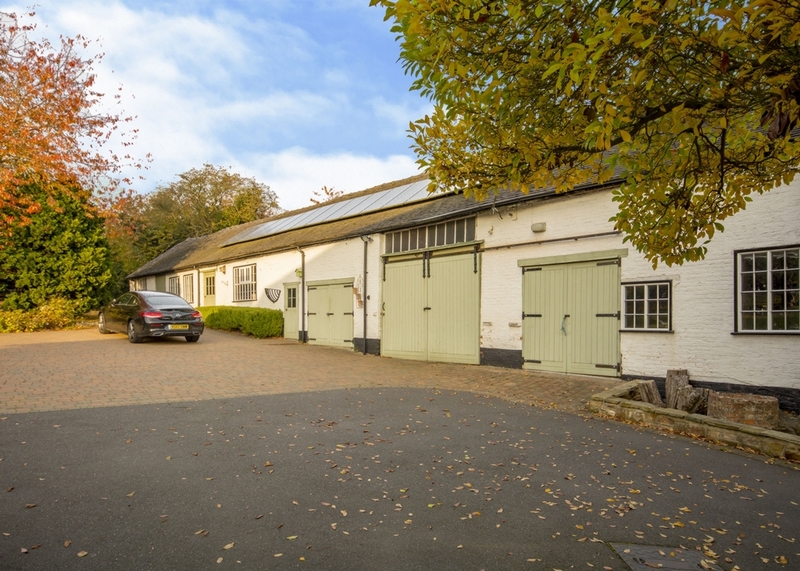 Garage: Single with window to the rear, power and light, twin doors. Store room 1: Window to the rear, power and light. 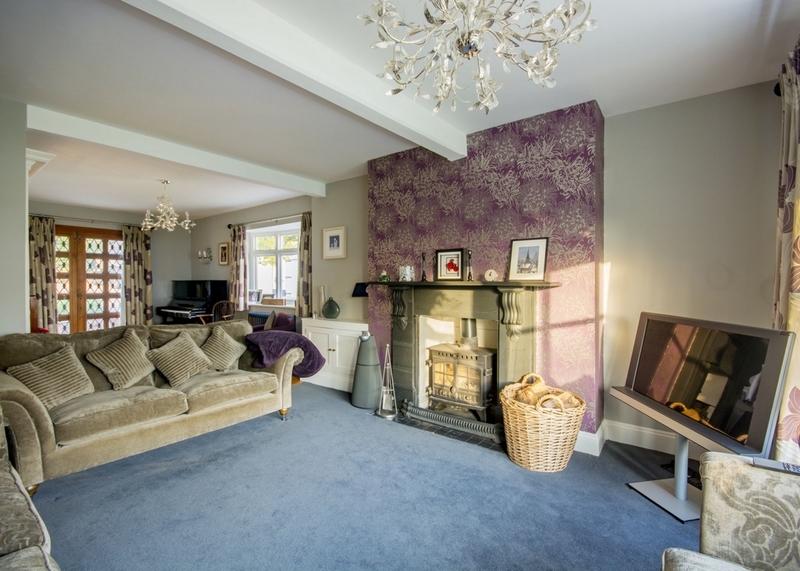 Games room: Window to the rear, power and light., vaulted ceiling. 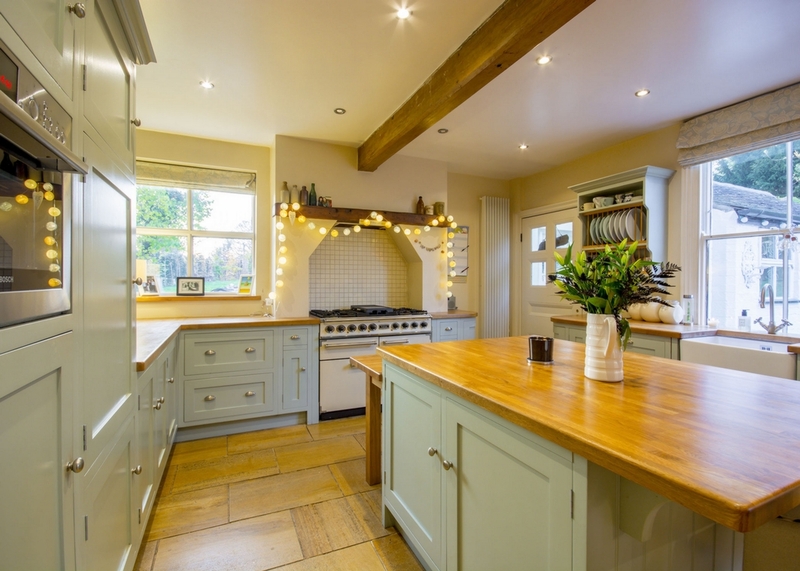 Workshop 2: Windows to the front, vaulted ceiling, power and light. Store room 2: Comprising of two rooms, windows to front and side, vaulted ceiling, power and light. 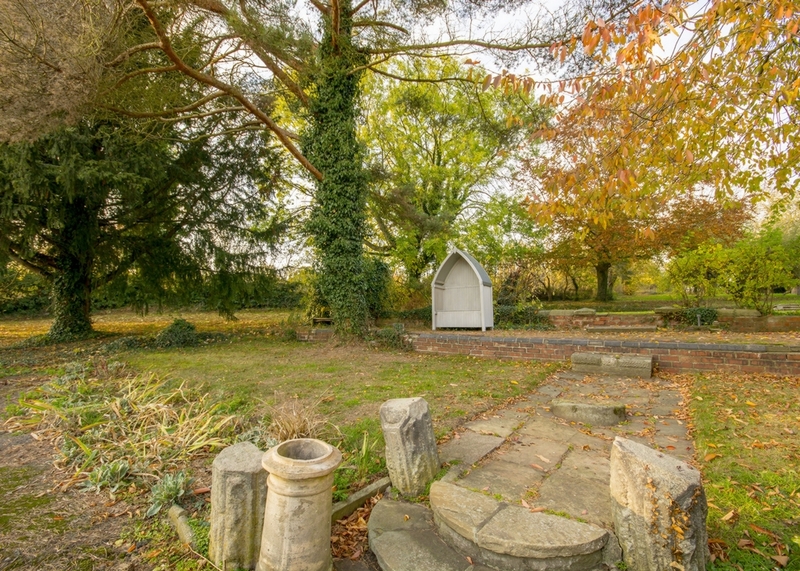 Gardens: Overall plot just under 2 acres comprising gardens to rear and side, mainly laid to lawn with established mature trees, shrubs and naturally screened boundaries. 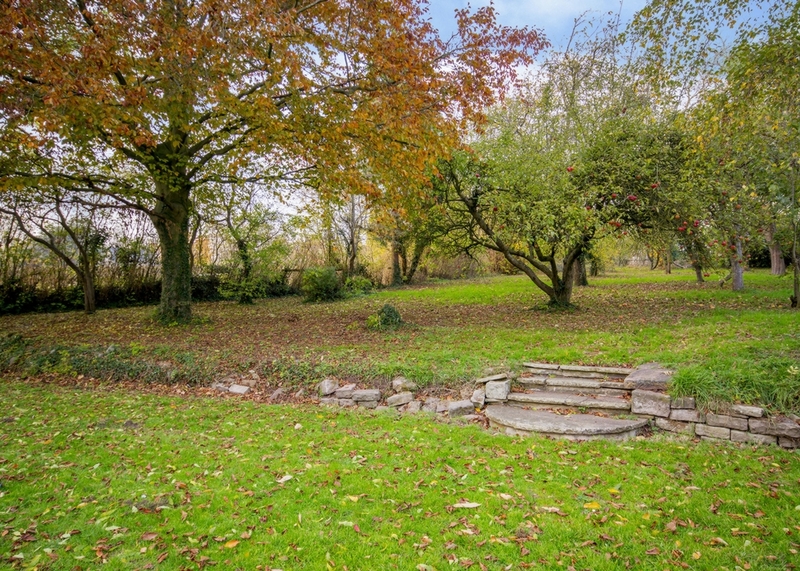 Orchard to the rear of the plot with established naturally screened boundaries and an abundance of fruit trees. Front garden: Low maintenance shrubs and boundaries, stone retaining wall, well stocked flower beds,porch-way with light.